Texas Gov. Rick Perry announced on Monday that he will not seek re-election. Perry, who — get this — entered politics as a Democrat in 1984 when he won a seat in the Texas Legislature when Texas was still a blue state, is the longest-serving governor in Texas history. He has served in the position since December 2000 when George W. Bush left to become president. Perry's legacy largely centers on the conservative lock on power that took place during his tenure. Democrats have not captured a statewide office since 1994. "We're going to look at Rick Perry as the person who presided over consolidated rule of Republicans in Texas," said James Henson, director of the Texas Politics Project at the University of Texas at Austin. Despite this blunder (among others), he is considered Texas' most powerful governor since the Civil War, even though a recent Public Policy Polling survey showed only 31 percent of voters thought Perry should seek re-election next year. Points for listening to the people on this one? 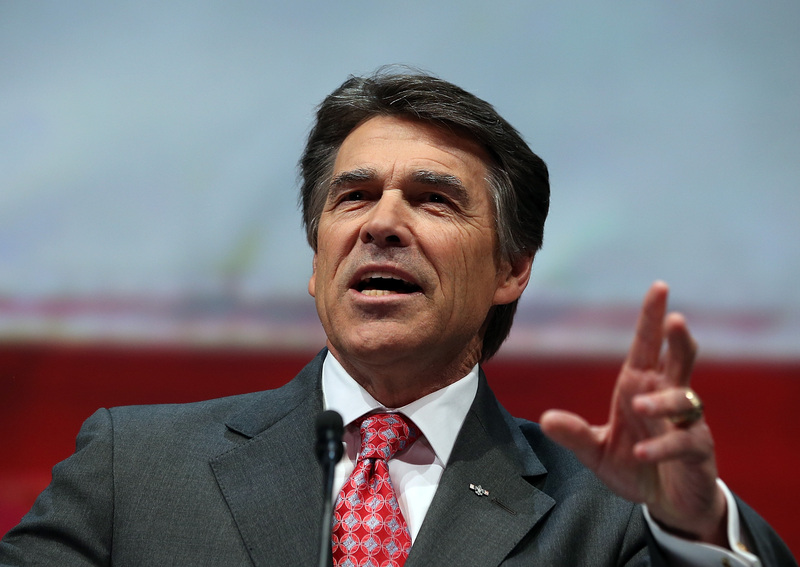 Perry could still be eyeing the 2016 Republican presidential nomination. In the meantime in Texas, the state's Attorney General Greg Abbott is thought to be seeking the governorship next year, having amassed $18 million in campaign funds. No official word on the Democratic front — though you know we're cheering for Wendy Davis. The state Senator said she will take a "second look" at the 2014 race. If she decides to run, she will certainly face an uphill battle. "She's still a liberal Democrat and this is still Texas," Chris Turner, president and CEO of the Austin-based GOP consulting firm Stampede Consulting, said. "This state is still going to deliver strong double-digit wins for Republicans."